On Saturday, May 2, more than 800 Special Olympics Illinois athletes competed in athletics (track & field) at the South Cook-Will/Area 7 Spring Games. This event wouldn’t have been possible without the generous support from the host Thornwood High School. The school has been involved with Special Olympics Illinois for more than 16 years, starting with just a track and field team and growing into a program that offers 13 sports with support from more than 20 coaches. 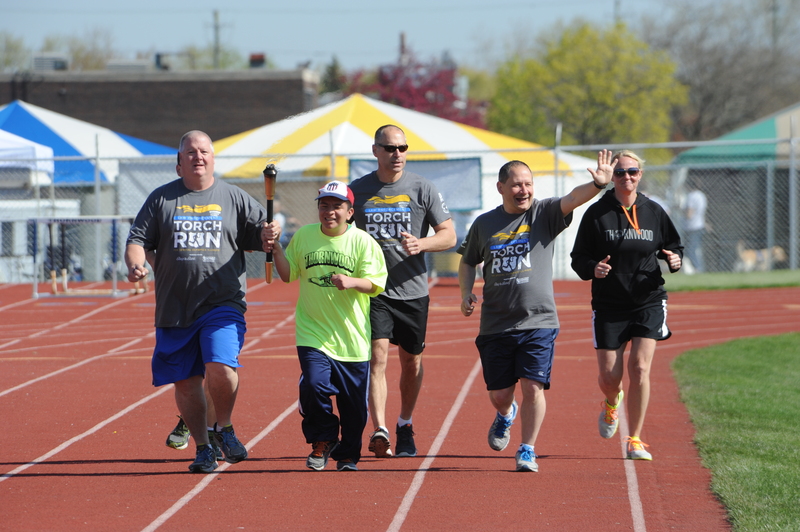 Thornwood High School student Miguel Castillo runs with the Law Enforcement Torch Run at the start of Area 7 Spring Games. 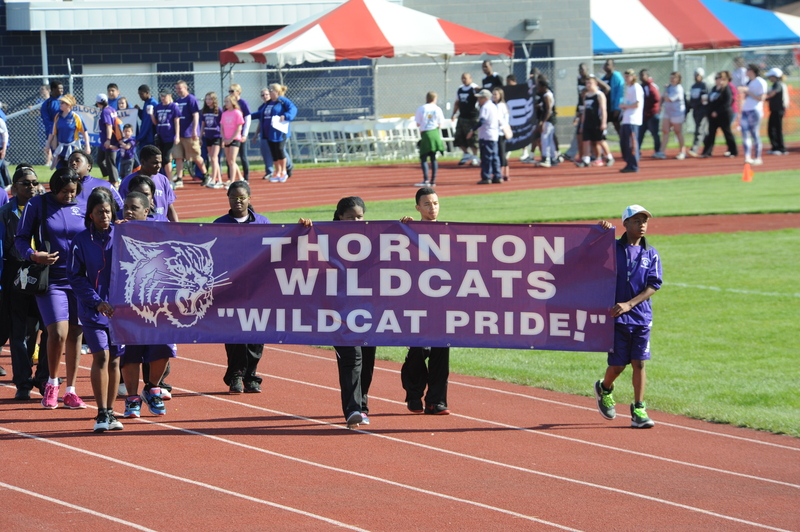 Twenty-nine Thornwood Special Olympics athletes competed in the South Cook-Will/Area 7 Spring Games.